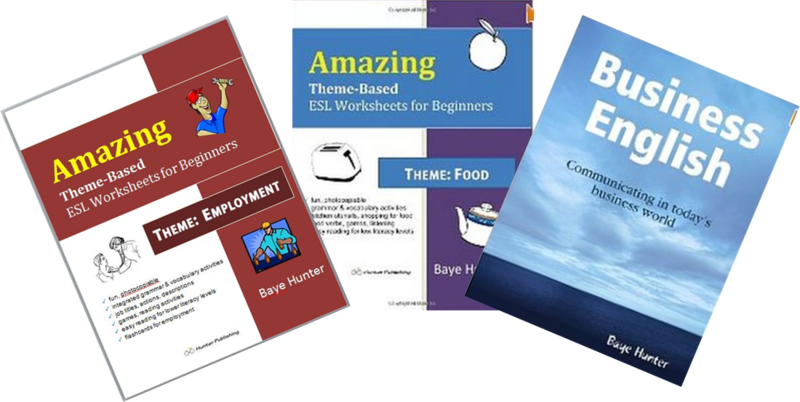 As a qualified ESL instructor with a TESL Certificate and an Ontario Teacher's Certificate, I have been teaching adults and children for over 25 years. I've taught in Canada, Australia and Hong Kong. I have taught a range of courses from beginner through to TOEFL preparation. I strive for a communicative environment where learners are engaged in learning practical skills. Please click here to see my books.